Co Kildare based MDY Construction Ltd is currently involved in six projects. THE HIGH COURT has placed a construction company involved in the building of hundreds of social and affordable housing units and apartments into examinership. Co Kildare based MDY Construction Ltd sought the protection of the courts as it is currently insolvent and unable to pay its debts as they fall due. 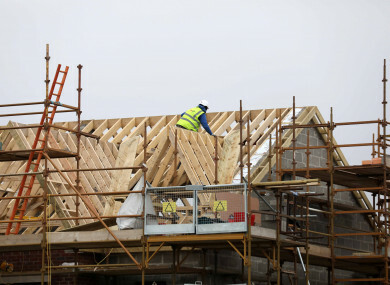 The company is currently involved in six projects including the construction of housing in Hollywoodrath, Dublin 15, social housing units at CHI Orchard Lawns, Cherry Orchard, Dublin, Bray in Co Wicklow, Kildare Town, a primary care centre in Rialto, Dublin, apartments at Dolphins Barn, Dublin. The company estimates the cost to complete all these projects, which are due to be handed over at various dates ranging from next month to June 2019, to be €38 million. The court also heard that works on some of the projects, which in some cases is being done on behalf of various state entities, have ceased. At the High Court today, barrister Ross Gorman Bl for MDY’s board of directors, which petitioned the court for the appointment of an examiner, said the firm has got into trading difficulties for a number of reasons including low gross profit margins in recent years. Counsel said that further problems were due to a dispute it has with a client over the delay in the commencement of the construction of 200 housing unit project in Baldoyle Co Dublin in 2015, and due to historic debts caused by its decision in 2006 to acquire certain development sites. Its debtors include various subcontractors and revenue, counsel said. Gorman said that despite this his clients are confident that the appointment of an examiner can ensure the firm has a good prospect of survival as a going concern. Following counsel’s submissions, Justice Tony O’Connor said he was satisfied to appoint insolvency practitioner Neil Hughes as interim examiner to the Naas, Co Kildare registered company, which has 39 employees. The judge made the appointment after Gorman said that an independent expert’s report has stated that the company has a reasonable prospect of survival if certain steps are taken, including Hughes putting together a scheme of arrangement with the company’s creditors. Counsel said that the independent expert has also said that the company needs to secure fresh investment and to restructure existing debt. Discussions have been held with several parties interested in investing counsel said. Counsel said it was in all relevant parties interests that an interim examiner be appointed, adding that the creditors would do better in an examinership compared to if the firm was wound up. Counsel said the company commenced trading over 33 years ago and had built up an excellent record in the industry, especially on largescale projects. It had also managed to continue to trade during the recession. After appointing Hughes as interim examiner, the judge adjourned the matter to a date in October. Email “High Court places construction firm involved in building of social housing into examinership”. Feedback on “High Court places construction firm involved in building of social housing into examinership”.